Our Universal Orlando Resort™ 2-Park Base Tickets allow you to experience both Universal Studios Florida™ and Universal's Islands of Adventure™. This ticket includes admission to either Universal Studios Florida™ and Universal's Islands of Adventure™ for up to five (5) days total. Please note that you cannot visit both Universal Studios Florida™ and Universal's Islands of Adventure™ on the same day with this ticket. Please note that admission to Universal's Volcano Bay™ is not included in this ticket. Limit one admission per park, per day. Our Universal Orlando Resort™ 2-Park, Park-to-Park Tickets allow you to experience both Universal Studios Florida™ and Universal's Islands of Aventure on the same day. This ticket includes admission to both Universal Studios Florida™ and Universal's Islands of Adventure™ for up to five (5) days total. Please note that admission to Universal's Volcano Bay™ is not included in this ticket. Our Universal Orlando Resort™ 3-Park, Park-to-Park Tickets allow you to experience Universal Studios Florida™, Universal's Islands of Adventure™ and Universal's Volcano Bay™. This ticket includes admission to either Universal Studios Florida™, Universal's Islands of Adventure™ and Universal's Volcano Bay™ for up to five (5) days total. Our Universal Orlando Resort™ 3-Park Base Tickets allow you to experience Universal Studios Florida™, Universal's Islands of Adventure™ and Universal's Volcano Bay™. 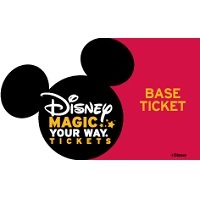 This ticket includes admission to either Universal Studios Florida™, Universal's Islands of Adventure™ and Universal's Volcano Bay™ for up to five (5) days total. Please note that you cannot visit Universal Studios Florida™, Universal's Islands of Adventure™ and Universal's Volcano Bay™ on the same day with this ticket. 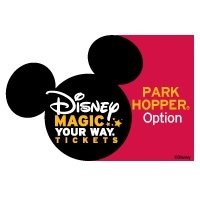 Limit one admission per park, per day.